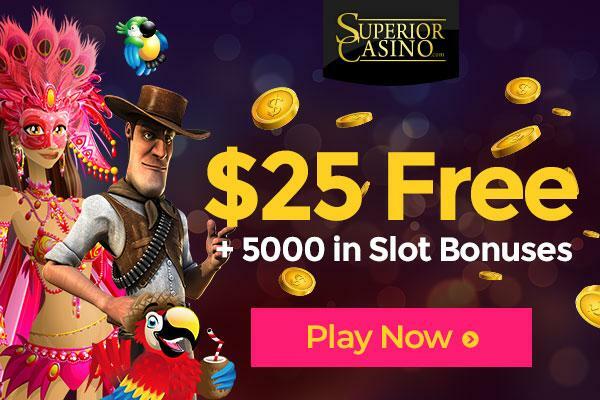 What sort of wizardry will cook up big winnings for you? 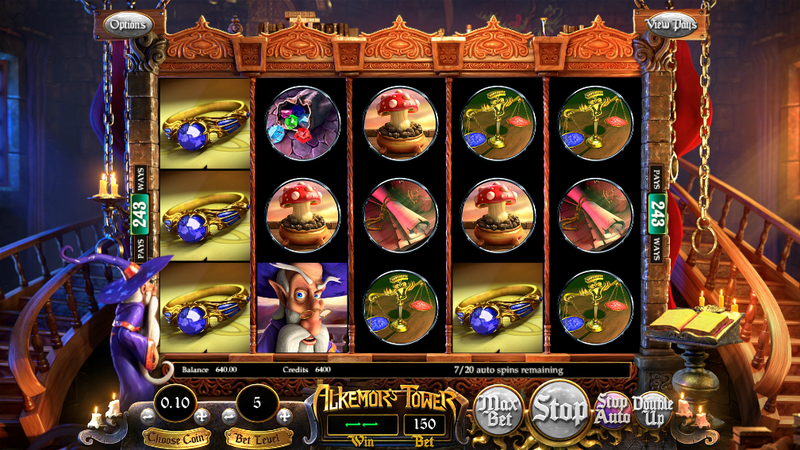 Enter Alkemor's Tower, a 5-reel 243 Ways to Win 3D slot full of magical possibilities for getting you big prizes. 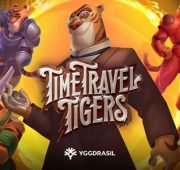 You will enter the mystical world of legendary wizard Alkemor, a wizard who harnesses vast power through various schools of magic. 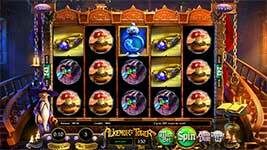 What sort of wizardry will cook up big winnings for you? 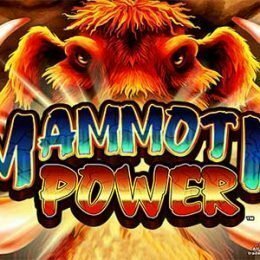 Enter Alkemor’s Tower, a 5-reel 243 Ways to Win 3D slot from Betsoft Gaming. 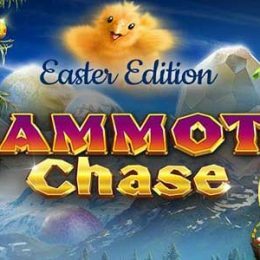 This game is chock full of magical possibilities for getting you big prizes. You will enter the mystical world of legendary wizard Alkemor, a wizard who harnesses vast power through various schools of magic. 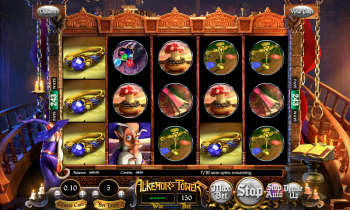 The features in Alkemor’s Tower center around the forces of elemental magic – fire, earth, air and water – with each element having its own powerful, bombastic effect on the richly animated reels. 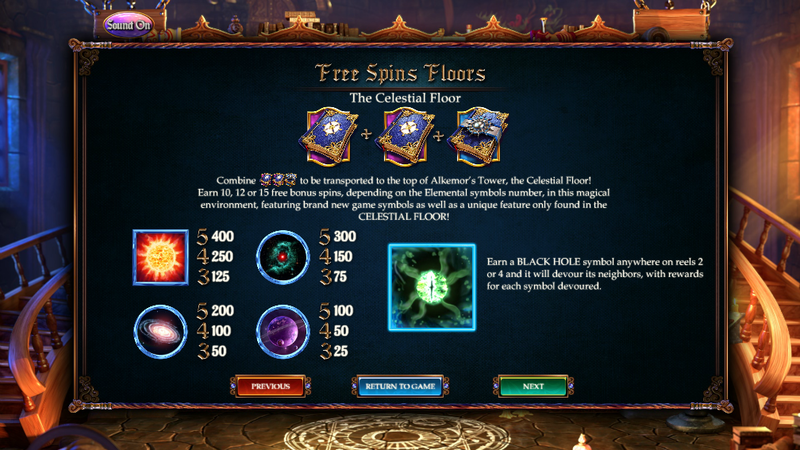 With the correct combination of icons on the reels, Alkemor will teleport you to either the Magical Conservatory level of the Tower for an exploration of Nature Magic, or delve into Celestial Magic on the Arcane Observatory level to enjoy a generous free spins bonus. Any standard win can be doubled with the correct guess of a coin toss. 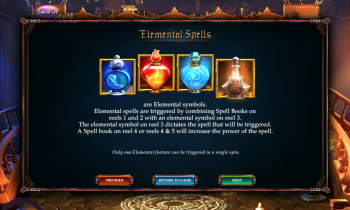 Elemental Spells – The four bottles in two shades of blue, one red and one brown are the Elemental symbols. 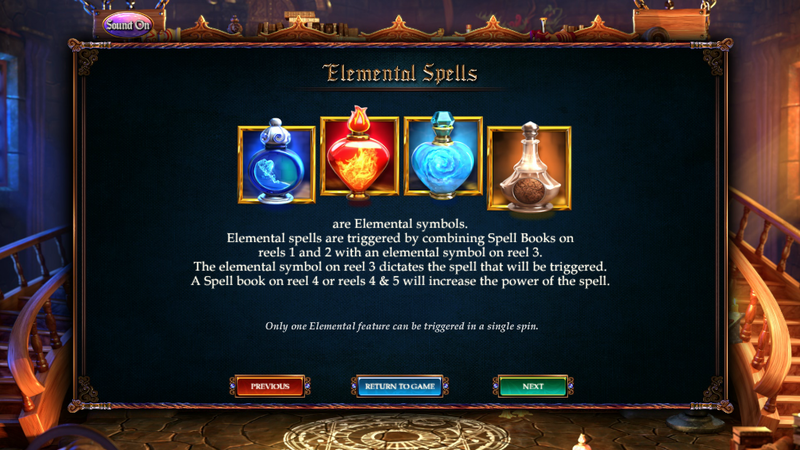 Elemental spells are triggered by combining Spell Books on reels 1 and 2 with an elemental symbol on reel 3. 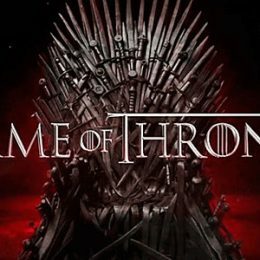 The elemental symbol on reel 3 dictates the spell that will be triggered. 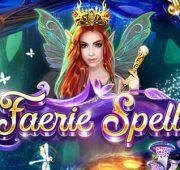 A Spell book on reel 4 or reels 4 and 5 will increase the power of the spell. Elemental spell features can range from Symbol Transformations, Cascading symbols, Traveling Wilds and more. 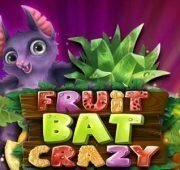 Vine Symbols – Earn a Vine symbol anywhere on reel 3 and it will devour its neighbors, with rewards given for each symbol devoured! 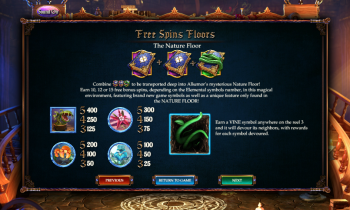 The Nature Floor & Free Spins – Combine two blue books with a vine wrapped book to be transported deep into Alkemor’s mysterious Nature Floor. 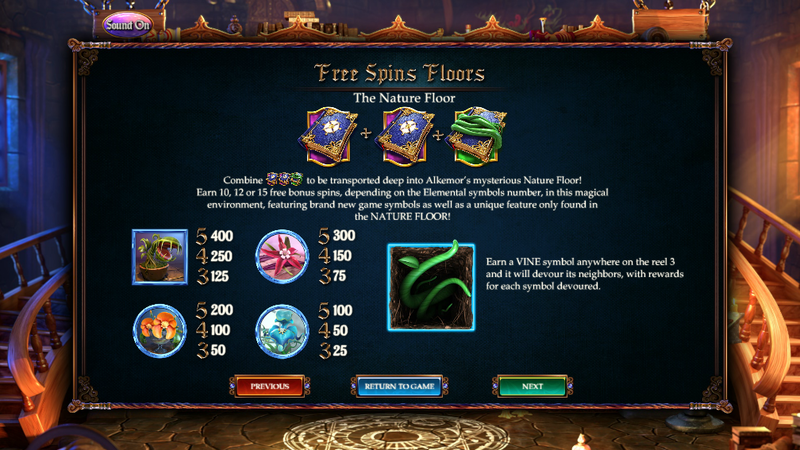 Earn 10, 12 or 15 Free Spins, depending on the Elemental symbols number, and play with brand new symbols found only in the unique Nature Floor round! 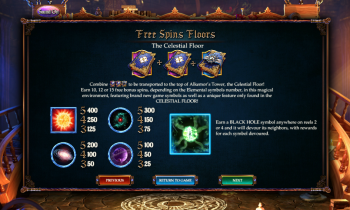 The Celestial Floor – Combine two blue books with a tied Blue book to be transported to the top of Alkemor’s Tower, the Celestial Floor! 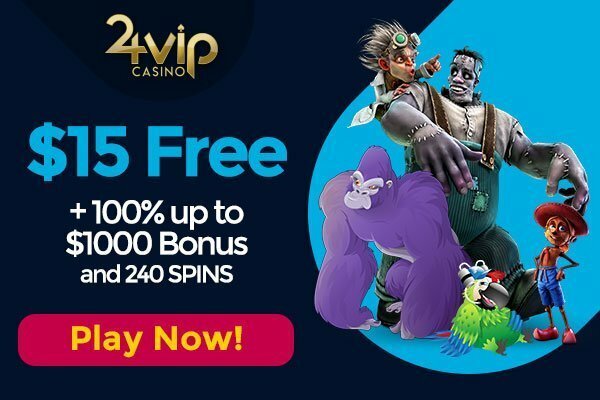 Here you’ll win 10, 12 or 15 free bonus spins depending on the Elemental symbols number. 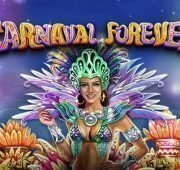 This round as well comes with all new and unique symbols!